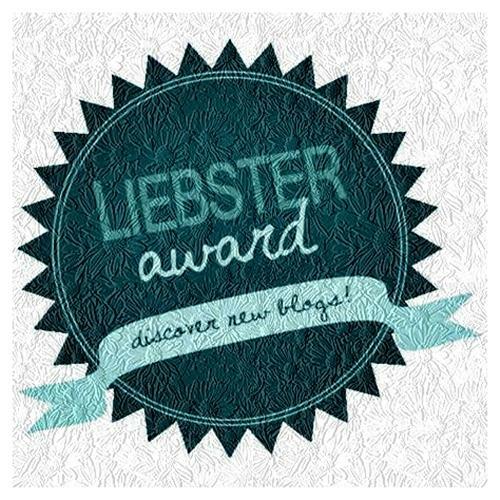 This blog represents all of my interests, but one thing I didn’t have a chance to tell you about is that I play piano. I finished the music school, but last years of the school were so frustrating and exhausting that for several years I didn’t come anywhere close to the piano. Piano then moved from my room to the living room and stood there for years waiting for me to re-discover it. My love for playing piano visited me again while I was studying in US. I discovered there a store with sheet music of so many of my favorite songs and I realized that I’m not forced to play etudes and gamut anymore which were mandatory in music school and I’m absolutely free to play what I want and how I want. With the internet and so many opportunities to find sheet music and piano tutorials, my love for playing piano grew even stronger. My recent discovery is Chromatik app, which deserves a separate post. App owners add new sheet music every day and it’s available to learn and play for 7 days. Gloria Gaynor’s ‘I will survive’ was one of the recent additions in the app. I love the song and the attitude of being strong and standing up for yourself. I can’t add the sheet music from the app because of copyright. However, while looking through different videos of piano arrangements, I found a video with most beautiful arrangement by Pippo72 that absolutely stole my heart. And the author generously shared the sheet music of his arrangement. I contacted the author and he kindly agreed to let me share the sheet music and video with you. 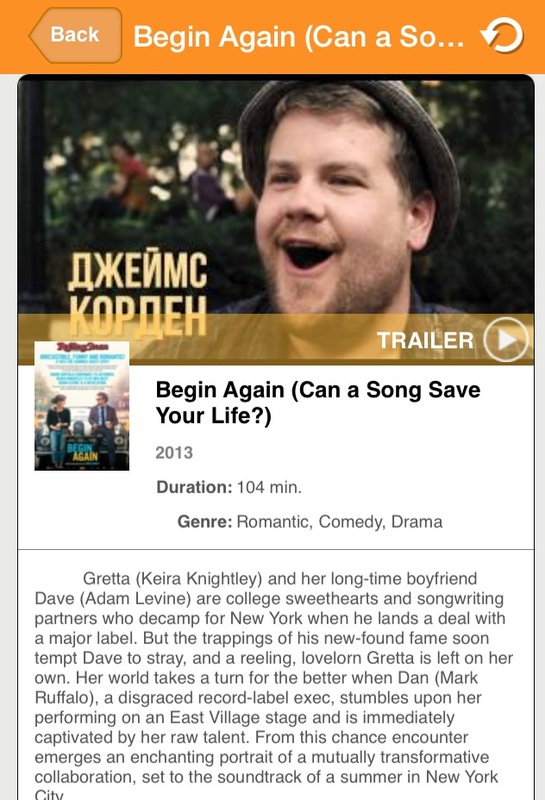 Here is one app that might interest cinema lovers in Baku – Kinotap. 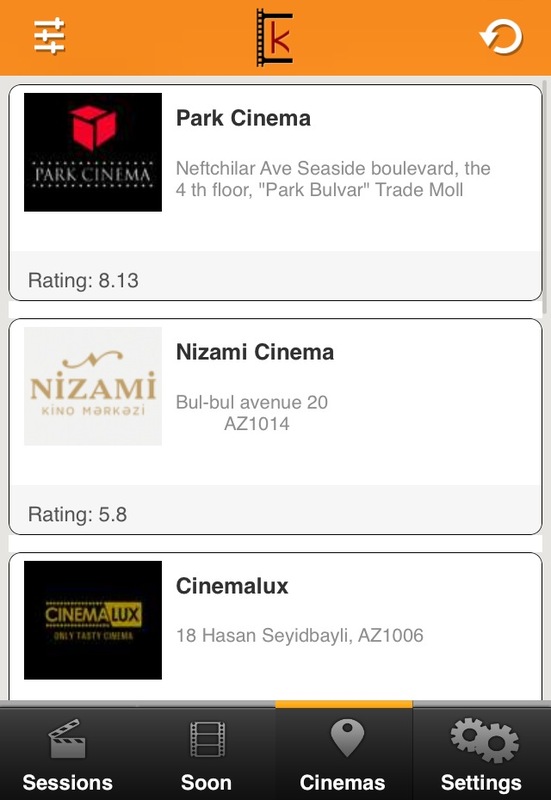 It gathers information from all the movie theaters around Baku, thus instead of checking separate apps like Park Cinema or 28 Cinema and comparing the viewing times, you can check this information in one app. 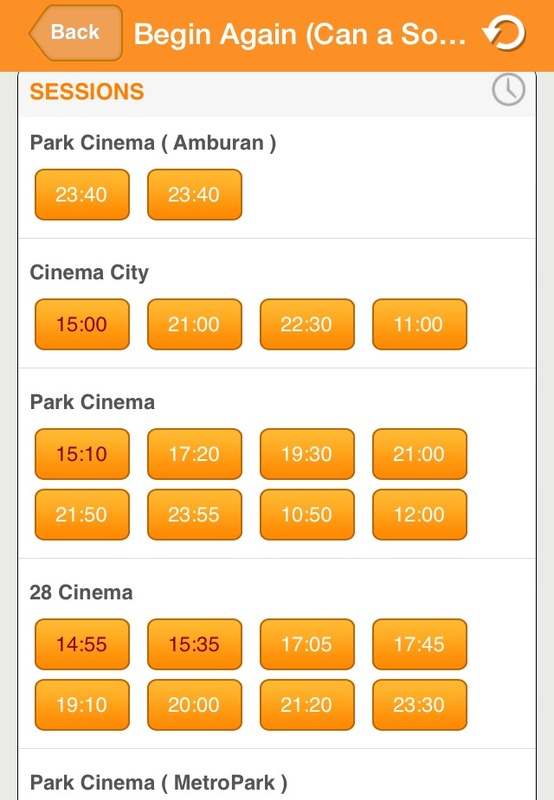 One thing that is lacking in Kinotap is online purchase, so after you found out the time and movie theater it’s playing in, you then still have to go to separate app, if you’d like to buy tickets online. 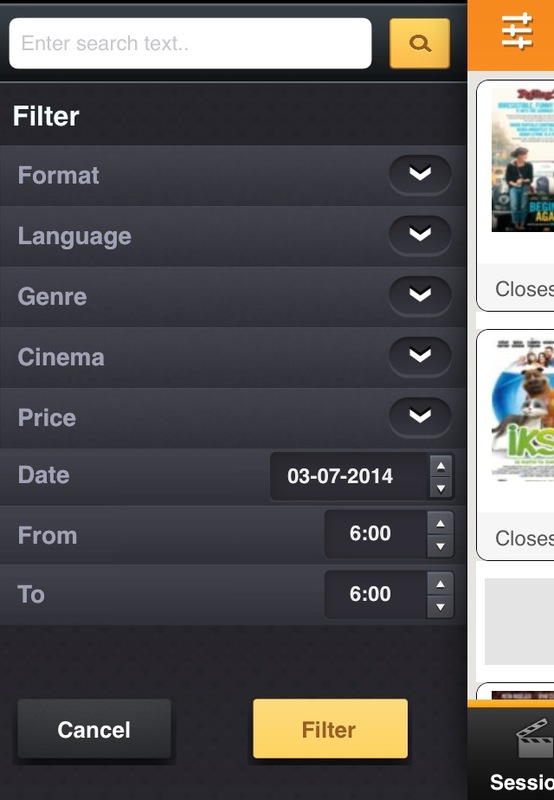 Here is the main view of the app with information on all movies going in the theaters right now. When you select one of the movies, you will be able to view information on plot, actors and view the trailers (you will be automatically transferred to YouTube app if you have it on your phone). Below the description, you will find out the next available showtimes and you can scroll to the right to see the next days’ timings too. 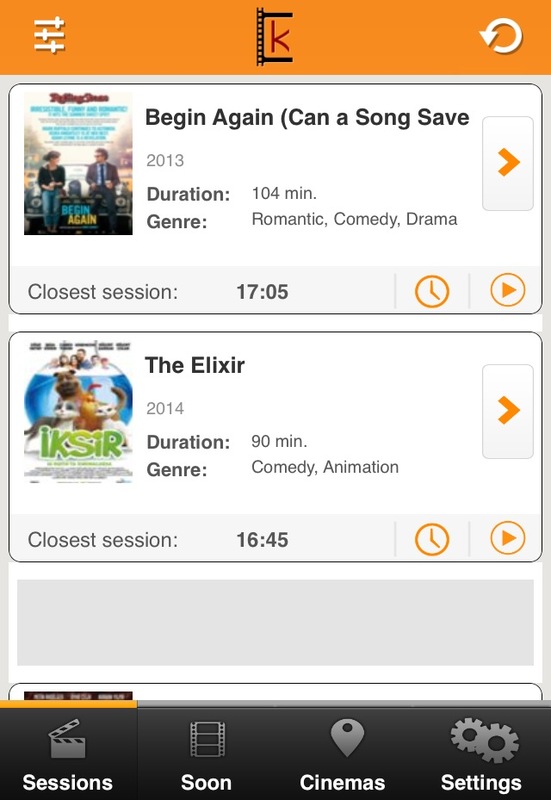 You can also filter the movies as you may wish. The app also allows you to review the upcoming movies. Cinemas screen shows all the movie theaters in Baku and their addresses. 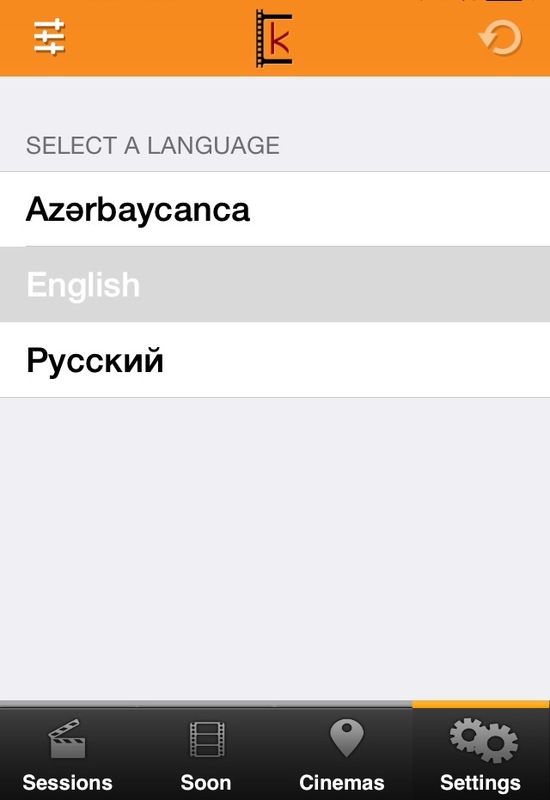 And the Settings screen allows you to select from 3 languages.